Next Article How Much Nature Is Lost Due to Higher Yields? What was once the largest coal-fired power plant in North America has been converted to a 44-megawatt solar farm with 192,431 photovoltaic panels spread across 260 acres, the electric utility Ontario Power Generation announced. 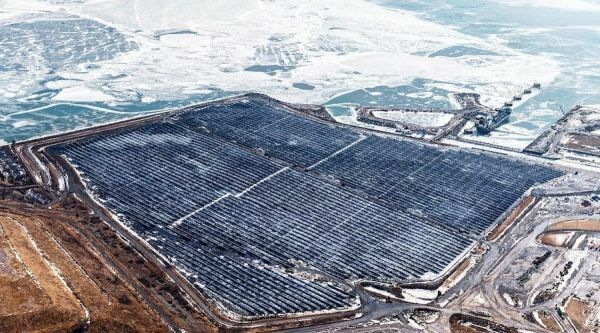 What was once the largest coal-fired power plant in North America has been converted to a 44-megawatt solar farm with 192,431 photovoltaic panels spread across 260 acres, the electric utility Ontario Power Generation announced. The facility, situated on the shores of Lake Erie in Ontario, will generate enough electricity to power more than 7,200 homes. The project is located on the grounds of retired Nanticoke Generating Station, which operated for more than 40 years before closing down in 2013. The idea to use part of the coal facility’s property for a new solar farm was spearheaded and paid for by Ontario Power Generation (OPG), the Six Nations of the Grand River Development Corporation, and the Mississaugas of the Credit First Nation. Its opening last week coincided with the one-year anniversary of the demolition of Nanticoke’s smokestacks, which once stood 650 feet tall, Mining.com reported.